a young red russian/siberian kale plant. mmm curly green kale & potato soup! Greens Don't Get Much Better Than This! As summer days shorten and slowly bring us into winter, we see the rainbow of color that once adorned our market tables head for the trees, leaving LOTS of green behind. Leafy superfoods grow year-round in our mediterranean climate here along the central coast, but when the temperature drops their flavors really start to shine. The first time I ever ate kale was from a snow-covered garden in Vermont. 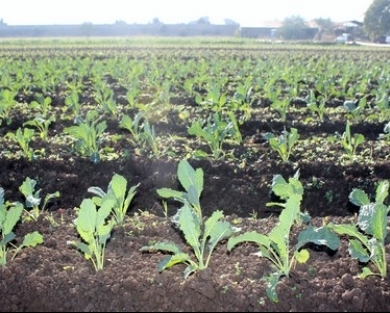 Most of the plants were long dead but the kale was still green and vibrant against the stark white of early winter. One bite of the sweet (sweeter after a frost) and mildly bitter leaf was all it took… true love! Asking me which variety of kale that I love the most though, is not a fair question. Kale's many incarnations range in texture from silky smooth to curly and crinkly, and add a smattering of purple, white and yellow to the realm of greens - all beautiful, all delicious - with the exception of the ornamental varieties which are better suited to garnish gardens and plates. The classic garlic-olive oil sauté is a simple, tasty way to get your fix and adding beans at the end makes it a meal. Lately though, I've been skipping the cooking part and massaging my leaves with olive oil and lemon juice or vinegar into a raw topping-friendly salad - avocado, apples, nuts, tomatoes… whatever the season calls for really. Thinly sliced kale is a great last minute addition to soups or try steaming and dressing for a quick side dish. The latest rage, though I'm sure folks have been doing it for years, is roasting lightly oiled kale into savory melt-in-your-mouth chips. I've heard more stories of kale chips turning greenophobes into chlorophyll lovers than any other recipe so definitely give it a try, but maybe not for a first date… unless you have a toothpick handy. 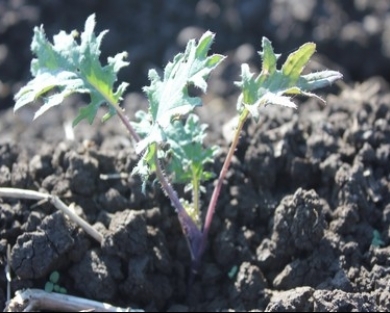 When picking out a bunch of kale, look for brightly colored leaves that aren't wilted. Baby bunches are tender and great for eating raw or quick cooking. If you're using bigger leaves, remove the stems before preparation. Keep kale refrigerated in sealed containers or plastic bags. Use within a fews days for maximum freshness. Kale is a crazy-good-for-you superfood chock full of antioxidants. It's also loaded with vitamins K, A and C as well as iron, calcium and fiber. Try roasted, sautéed, steamed, juiced, souped or raw. 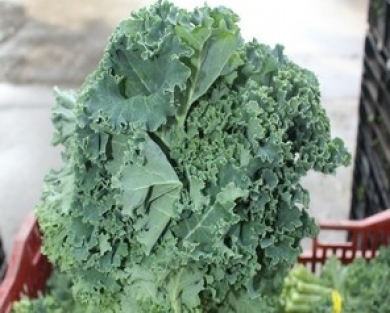 Kale is also lovely in egg or tofu scrambles and works well in veggie and/or meaty stews.